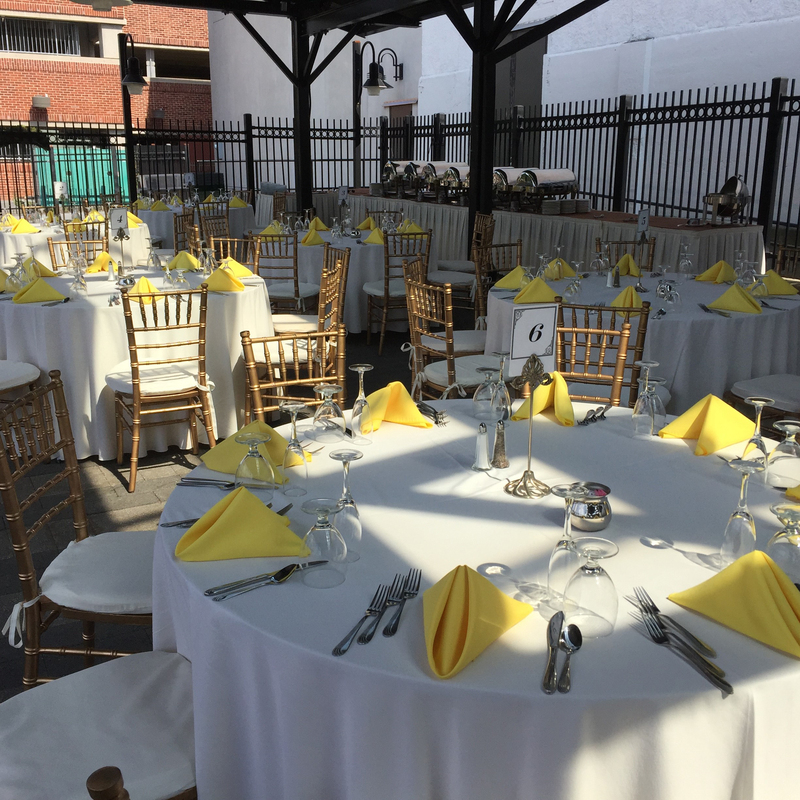 The Gettysburg Hotel creates meetings and events that are truly historic. 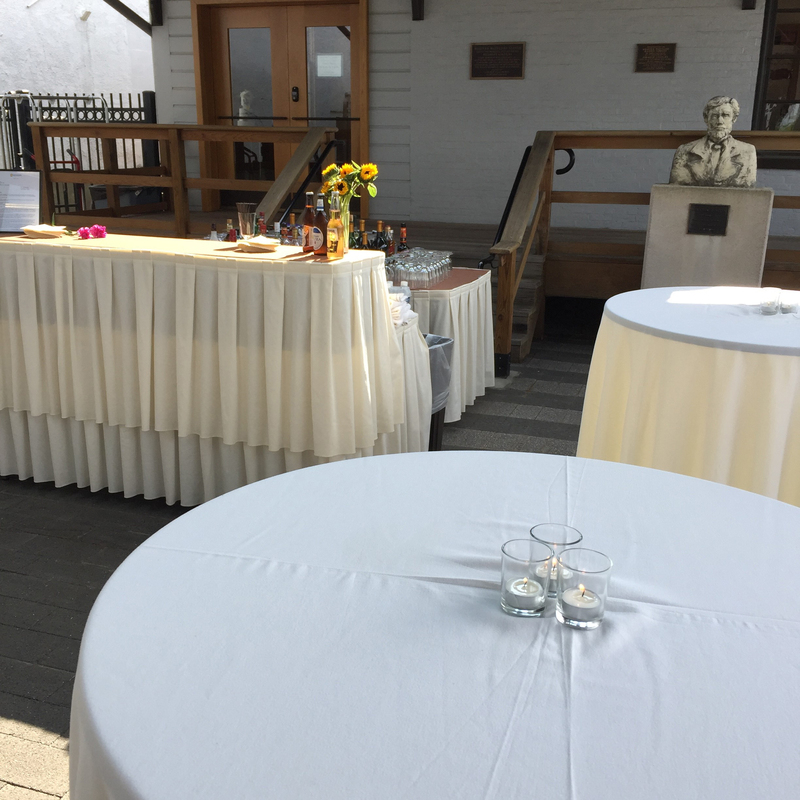 Our versatile facilities retain their historic charm of the past two centuries yet offer a refreshing layout and provide flexible and functional spaces for meetings, events, and small conferences. 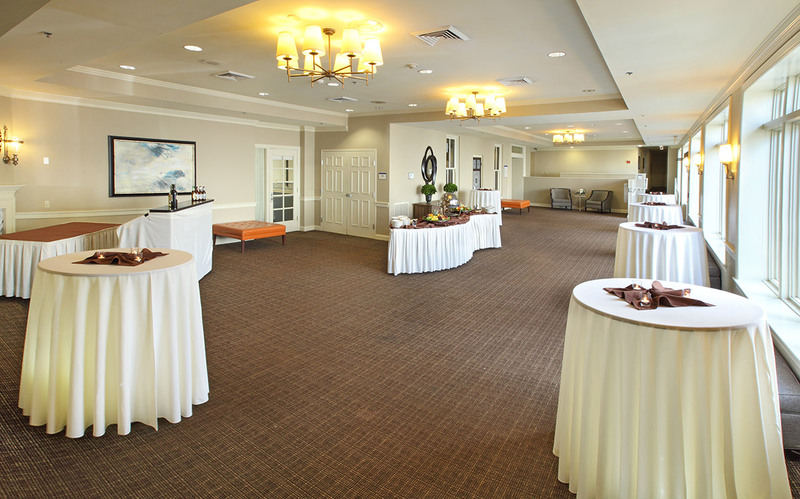 The Atrium welcomes your guests with ample room for pre-function activities such as registration, cocktail mixers, and vendor display areas. 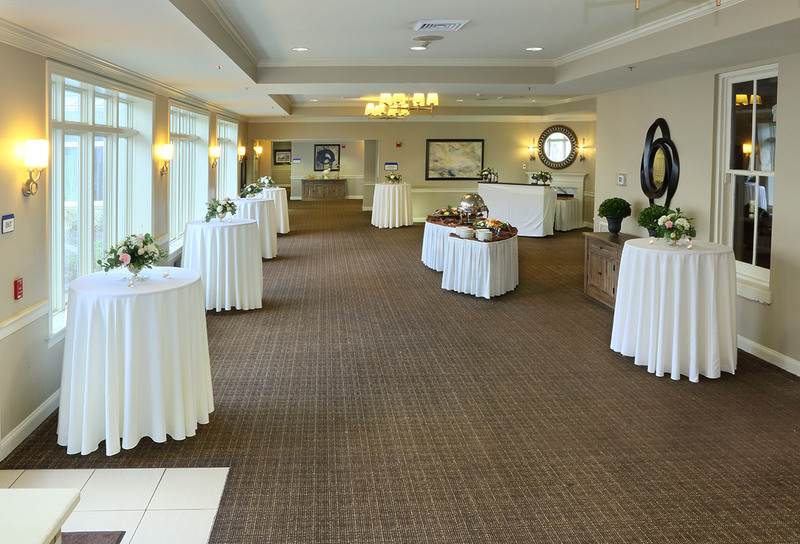 With quick and easy access to abundant downtown parking, this striking first impression will set the tone for your event. 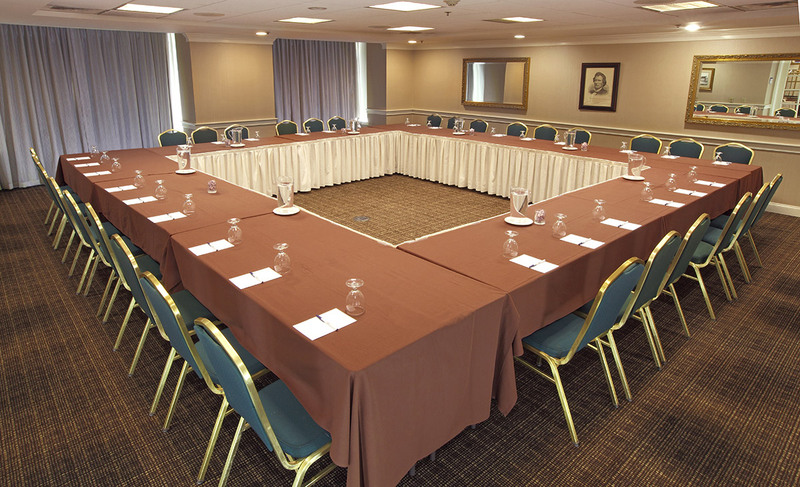 Our meeting facility offers flexible spaces for meetings and events. 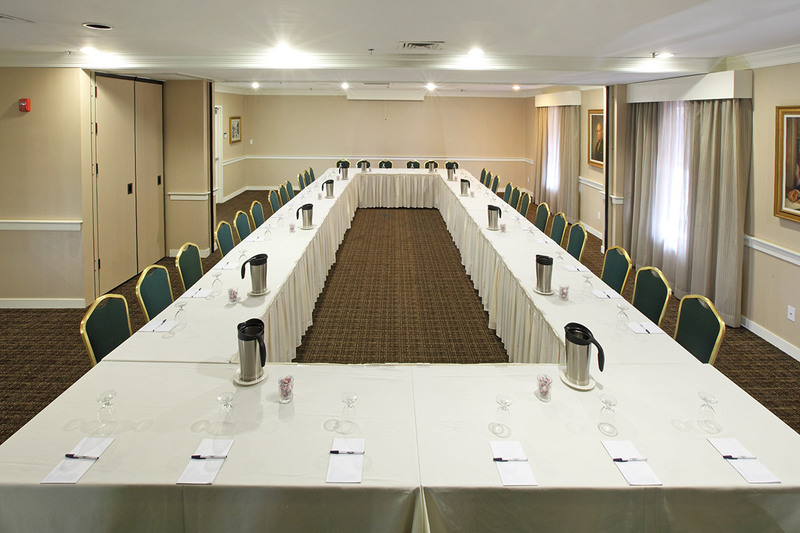 Breakout sessions, classroom training, and intimate meetings can all be accommodated in our updated facilities. 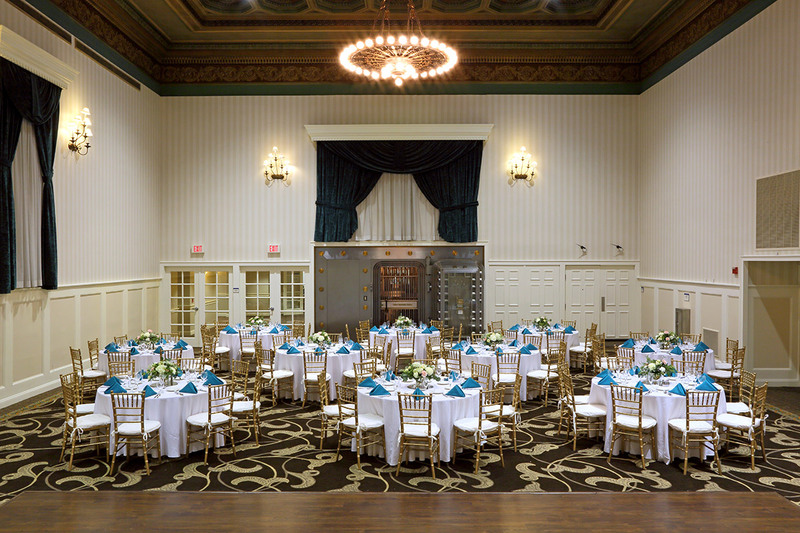 Large events, banquets, and keynotes are hosted in our Grand Ballroom, formerly the Gettysburg National Bank. 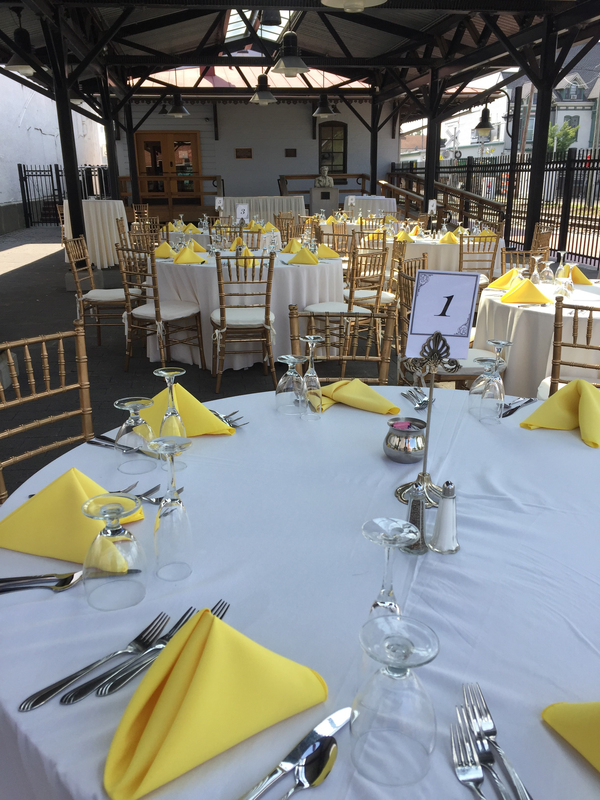 Our historic setting and facilities make your event memorable. 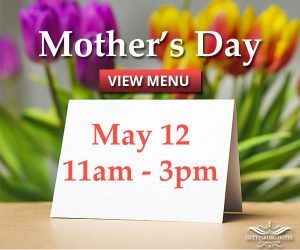 Are you ready to learn more? 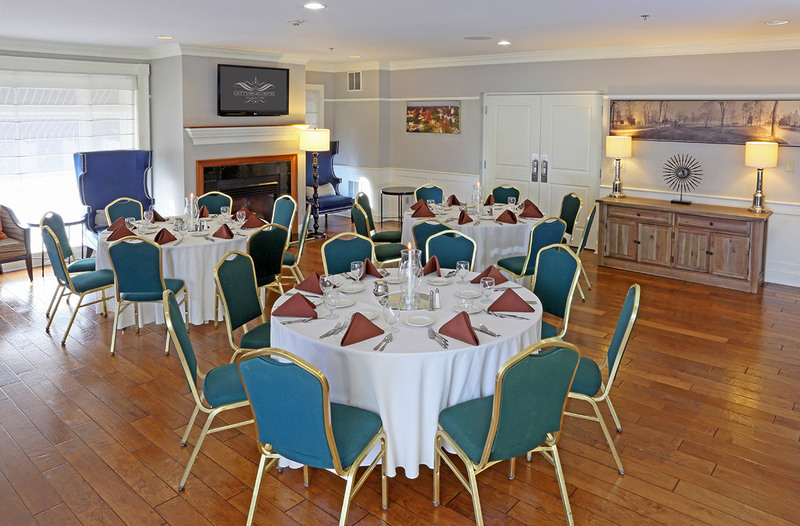 Conveniently located in downtown Gettysburg and within walking distance of shops, galleries, and historic attractions, the hotel offers the ideal location for corporate gatherings and business functions, in addition to social events and private parties. 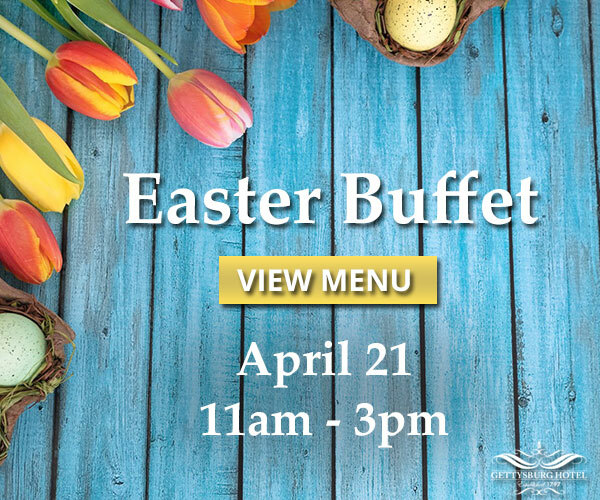 Our abundance of meal options, room arrangements, and special services will be adapted to suit your specific meeting or event requirements. 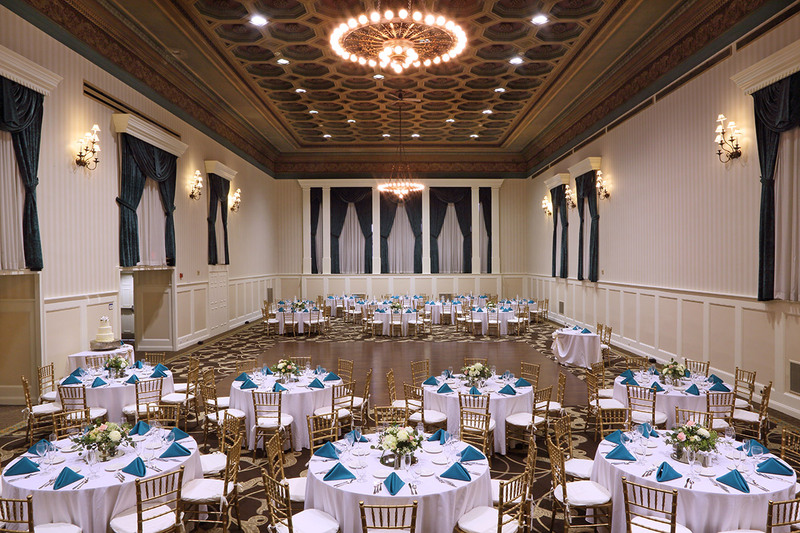 Originally the Gettysburg National Bank built in 1814, this space maintains its original class and elegance, featuring an exquisite, 28’, hand-painted ceiling, inlaid with gold and accentuated with the original Grecian border. 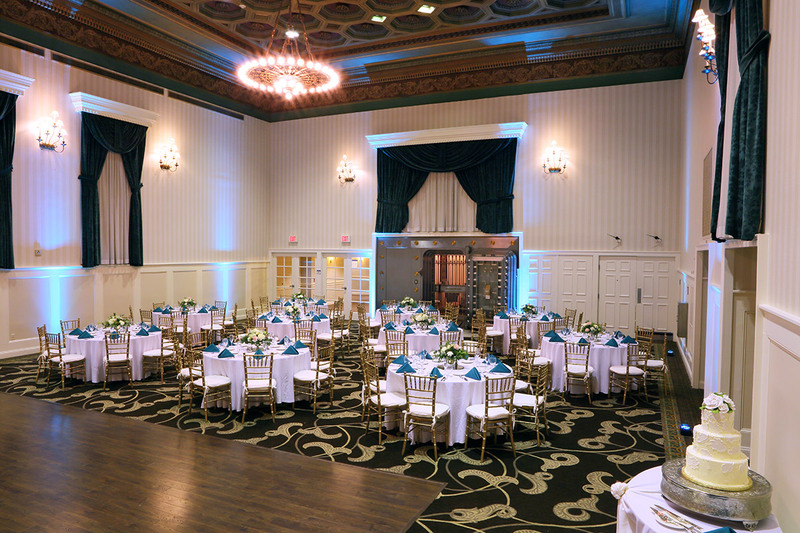 The largest of our event spaces, the sweeping evergreen draperies, and 19th-century chandeliers add to the charm and character of this historic space. 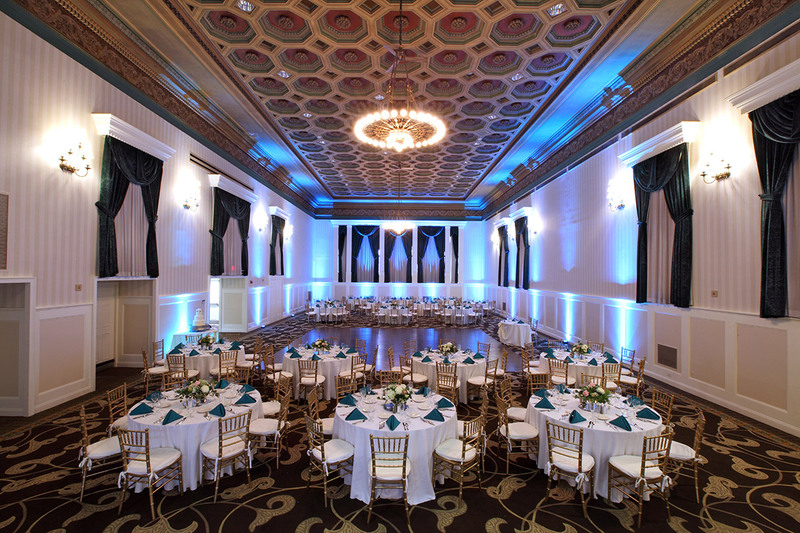 The Grand Ballroom features an impressive bank vault, providing a unique backdrop for your event. 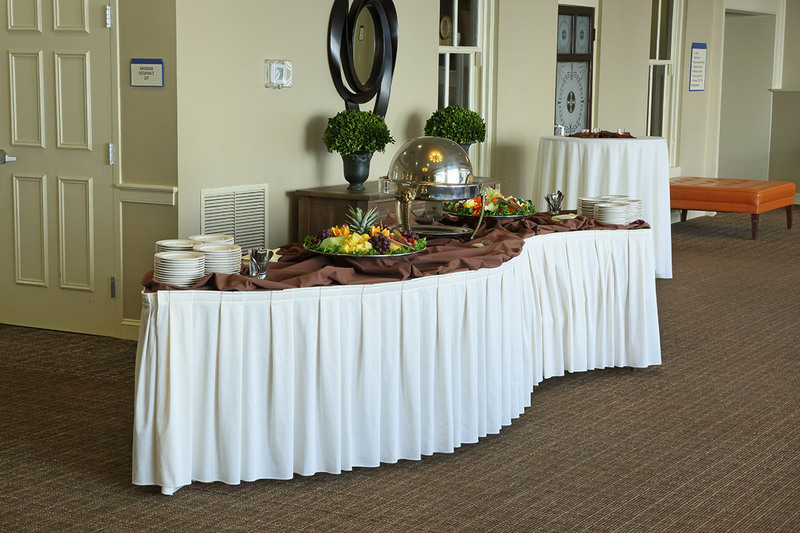 Wi-Fi is available throughout the space allowing your guests to stay connected. Windows are equipped with blackout shades to facilitate video presentations. 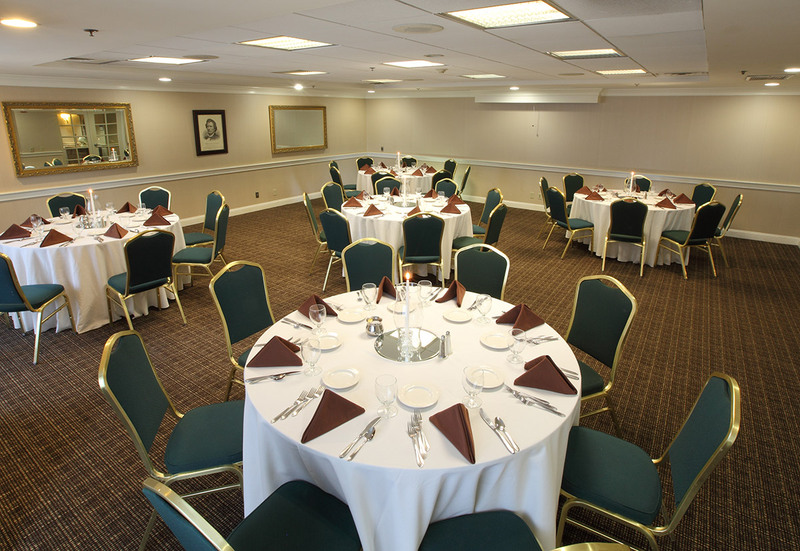 Named after Thaddeus Stevens, the famous lawyer and member of the US House of Representatives for Pennsylvania during the time of the Civil War, this space features multiple windows overlooking the courtyard and is ideal for breakout sessions during your conference, large board meetings, or dining space with your colleagues. 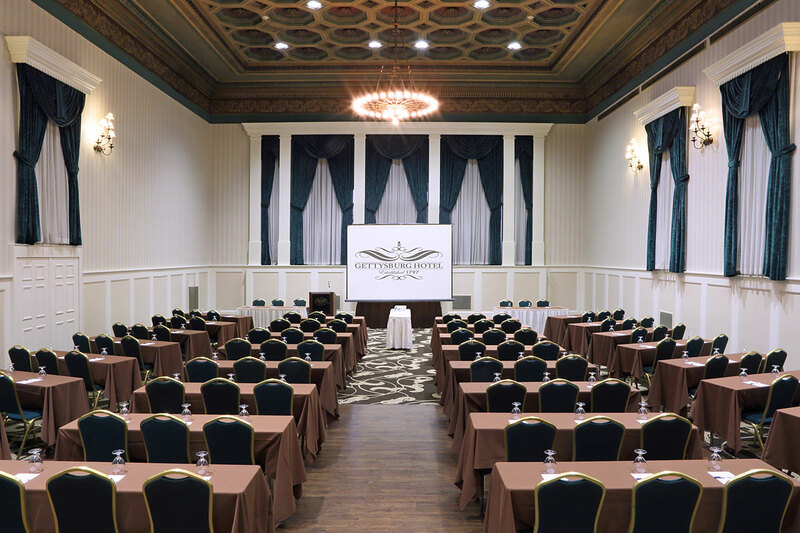 Conveniently located directly across from the Grand Ballroom, the Stevens Room is equipped with a drop-down projection screen in addition to both wired and wireless internet access. Windows are equipped with room darkening curtains to facilitate video presentations. 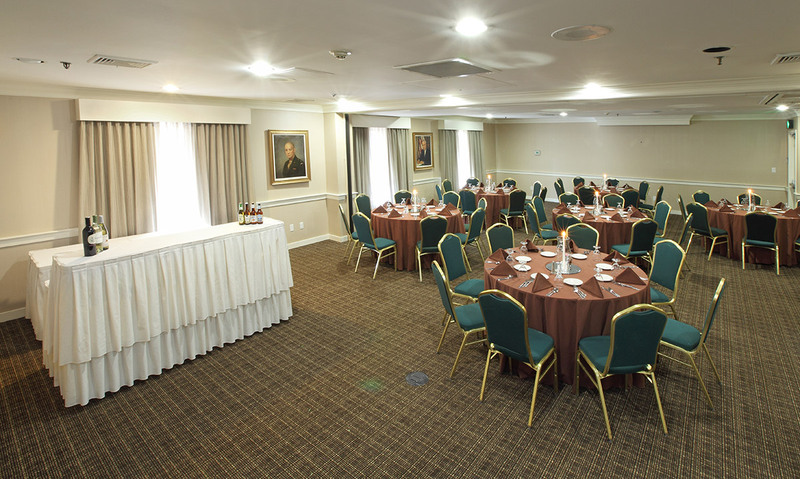 The Eisenhower Room is named after 5-Star General and former President, Dwight D. Eisenhower, who utilized the Gettysburg Hotel as his Presidential office. 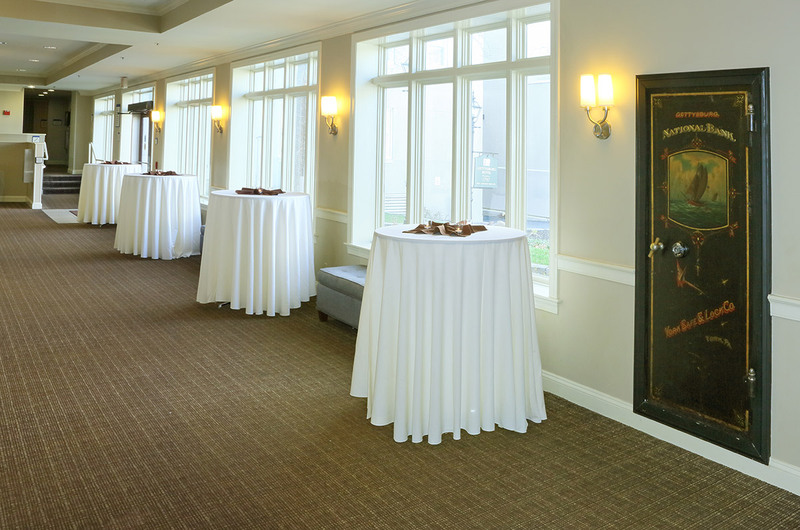 This space features multiple windows offering natural light and a bright atmosphere for corporate banquets and receptions, meetings, leadership retreats, and training sessions. 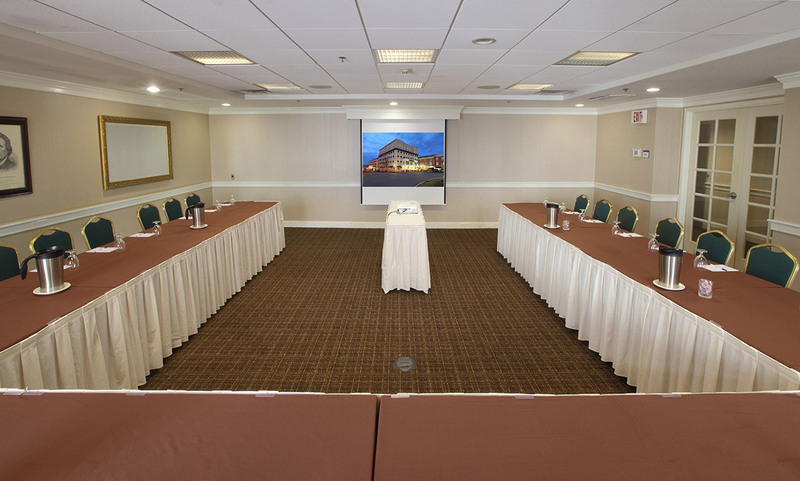 This meeting room is dividable with an air wall to create two meeting spaces each equipped with a drop down projection screen in addition to both wired and wireless internet access. Windows are equipped with room darkening curtains to facilitate video presentations. Daniel Webster, known as “the great orator”, gave a speech in 1833 on the front steps of the Gettysburg Hotel and is the namesake for this space. Natural light enhances this room through windows that overlooks the beautiful courtyard. 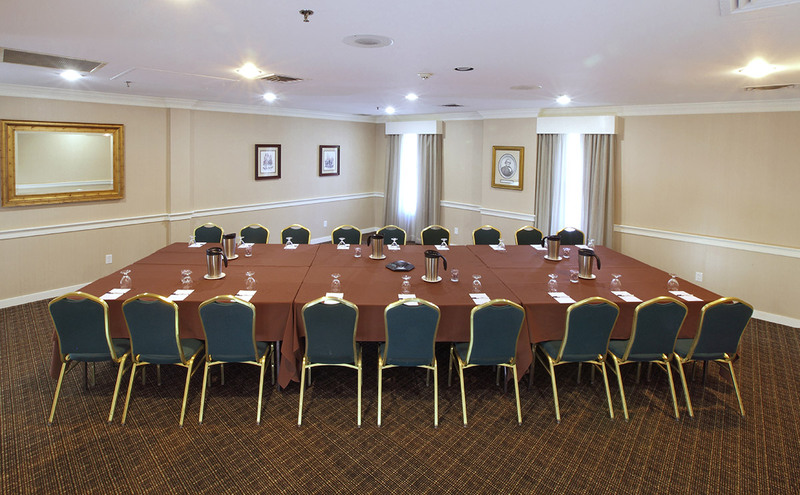 The Webster Room is an ideal setting for breakout sessions, small board meetings, or a private dining experience. 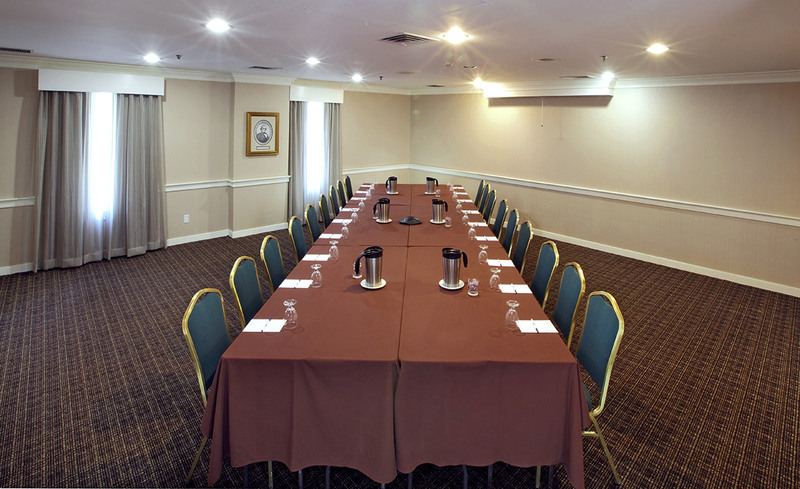 This space is equipped with a drop-down projection screen in addition to both wired and wireless internet access. Windows are equipped with room darkening curtains to facilitate video presentations. 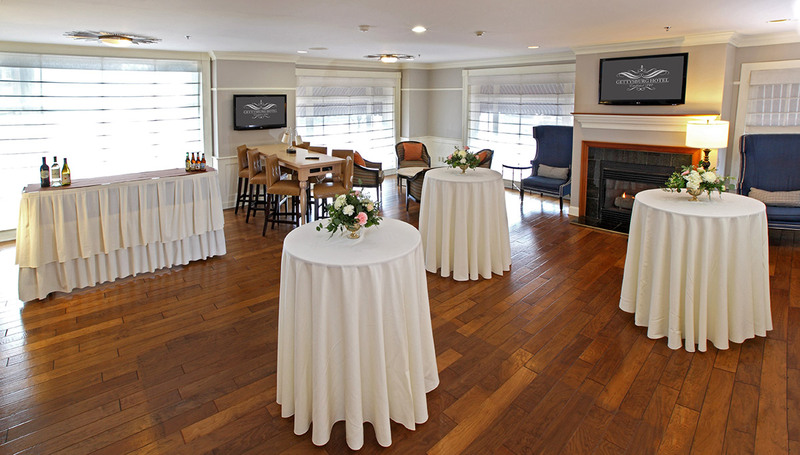 Overlooking the bustling town square, the College Room, named after Gettysburg College, features floor to ceiling windows offering a unique, flexible atmosphere for cocktail receptions, informal group discussions, and small corporate dining. 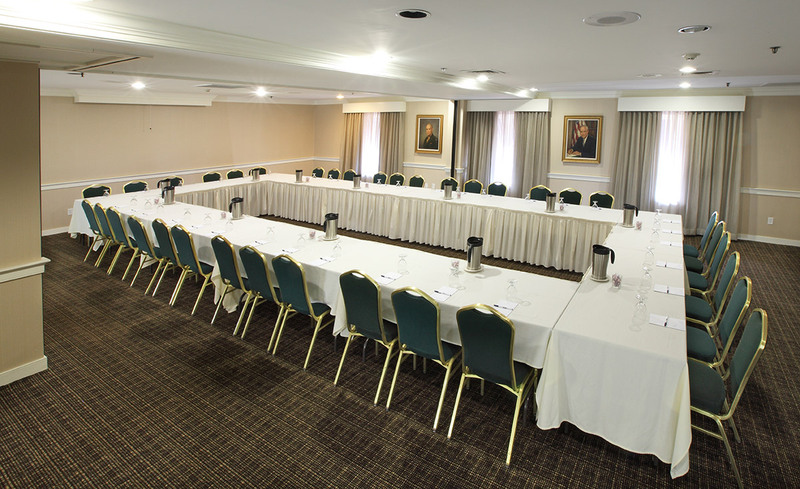 This space is equipped with two PowerPoint compatible flat screen televisions to facilitate presentations in addition to both wired and wireless internet access. 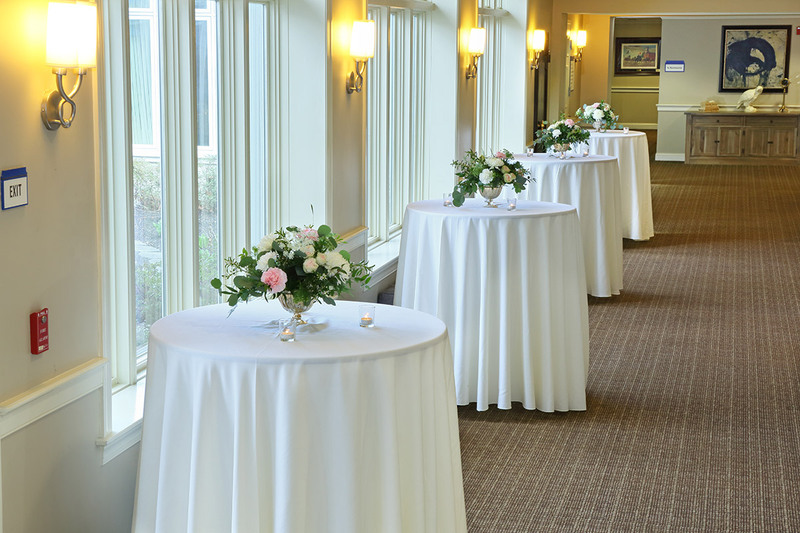 Featuring a distinctive view of the courtyard, the Atrium is a large open receiving area adjacent to the Grand Ballroom and Stevens Room. 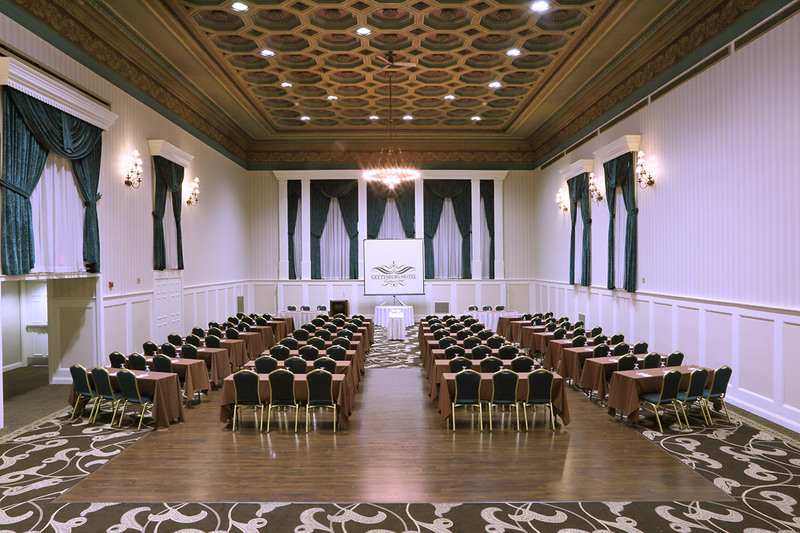 Expansive windows and soft seating create a comfortable atmosphere for conference registration, vendor displays, and cocktail receptions. 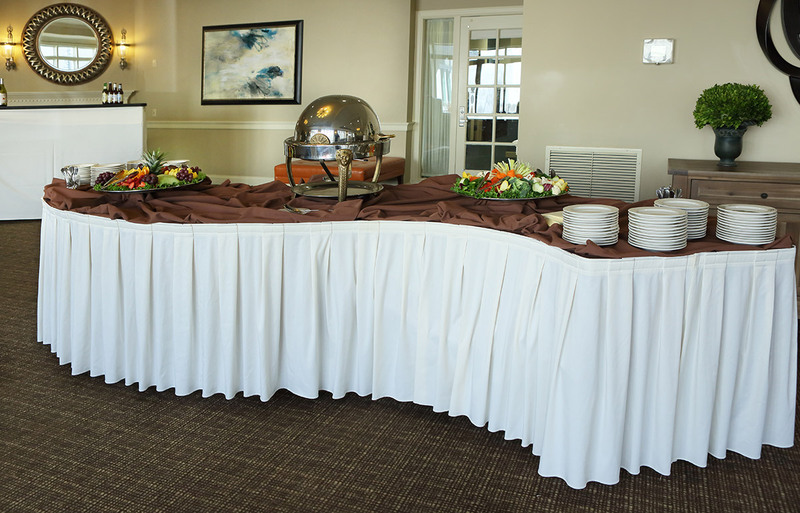 Due to the centralized location, this space is perfect for food and beverage breaks during large conferences as well as small casual group discussion. Abraham Lincoln arrived at the Gettysburg Lincoln Railroad Station prior to delivering the famous Gettysburg Address. 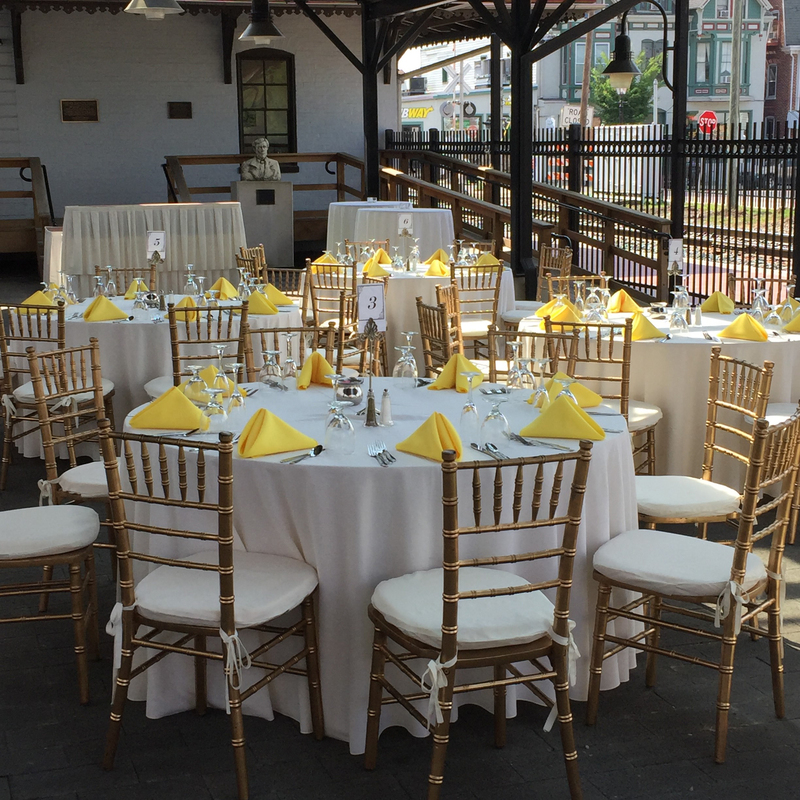 The beautiful covered pavilion and interior railroad museum, rich with history, are the ideal locations for cocktail receptions and corporate dinners to enhance your leadership experience. 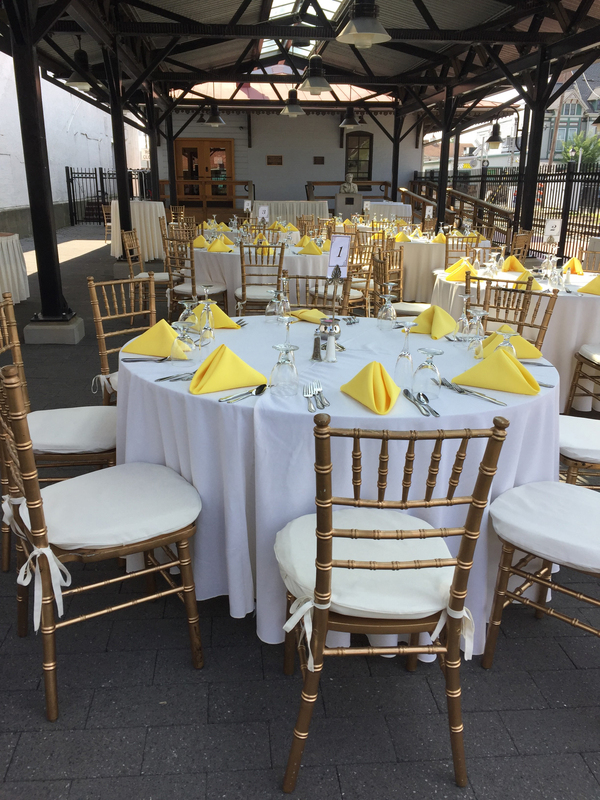 Conveniently located within an easy walking distance of the Gettysburg Hotel, this venue offers a unique alternative for your corporate event. 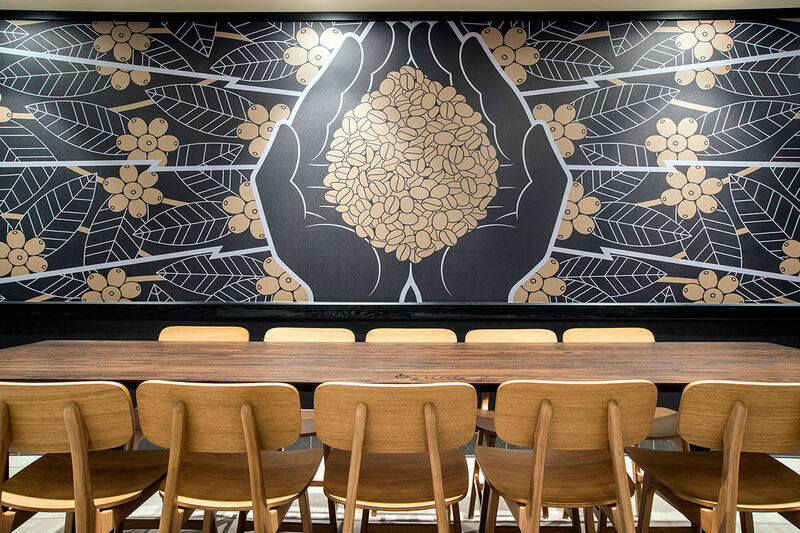 In the heart of downtown Gettysburg, our historic hotel is proud to welcome a new addition to the property and community – Starbucks. 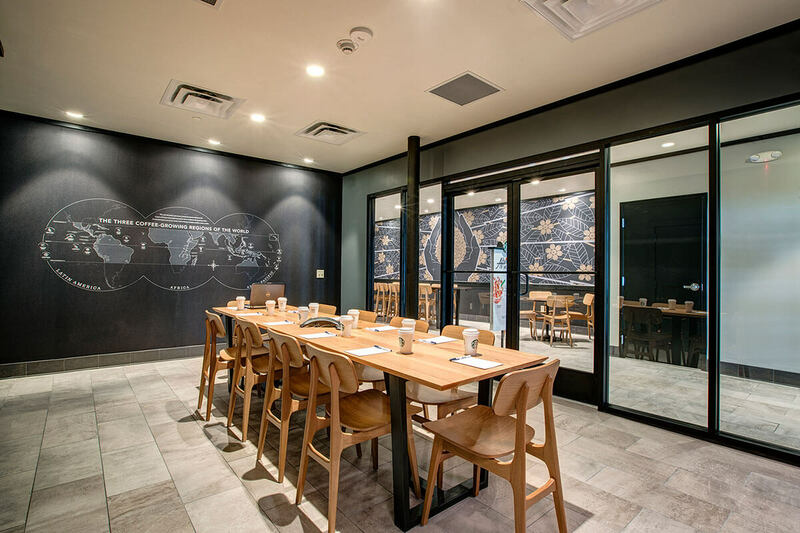 Located within the new coffee shop adjacent to our lobby, with entrances both in the hotel and from York Street, this room is perfect for small gatherings and meetings for breakout sessions, committee meetings, and planning sessions.